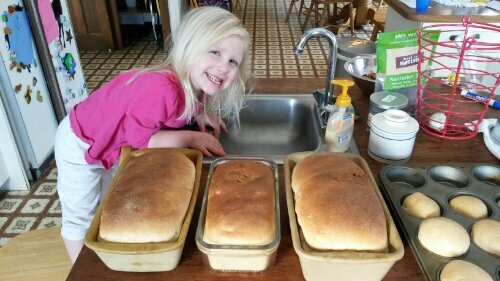 Amanda loves the bread that Anna baked today. These 3 loaves and some rolls will only last 2 or 3 days. It never lasts long around here either!